Completing a do it yourself project can fill you with the pride that follows a job well done. But what happens when that DIY project turns into a nightmare? After all, your experience thus far might be limited to swapping out light fixtures or maybe repairing a hole in the wall. But are you prepared for the amount of work required to switch out that prickly fiberglass insulation in your attic? With one wrong step, your legs could be sticking out from the ceiling in the room below. Before you head up to the attic and rip out insulation, ask yourself, are you ready to take that plunge? 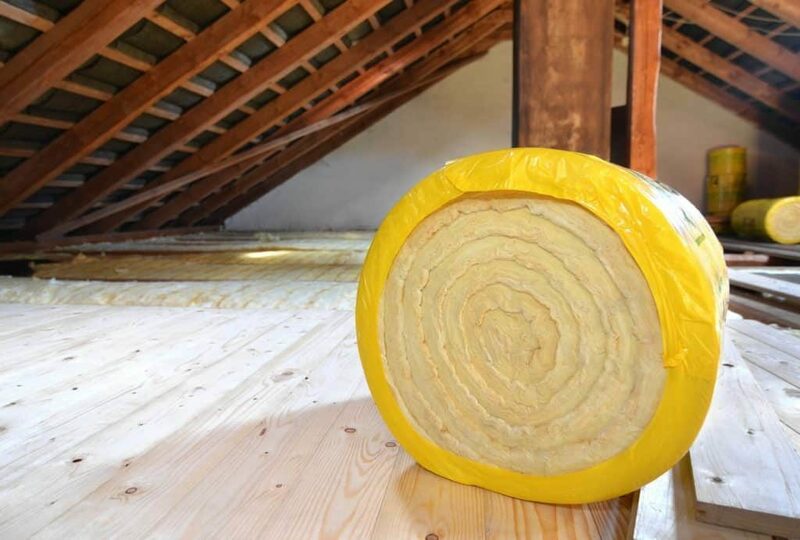 In this post, we’ll examine seven reasons you should hire an attic insulation contractor to do the work for you. Building codes vary between regions. For example, a colder area of the country might require a greater amount of insulation than structures built in warmer climates. An attic insulation contractor is up-to-date with these regulations and will install new insulation in accordance with these laws. Furthermore, insulation contractors will know exactly how much material to use. Using the correct amount of insulation is crucial for ensuring your home is heated and cooled at peak efficiency. Remove the guesswork and any potential issues that may come as a result of guessing by hiring an attic insulation contractor. Replacing attic insulation isn’t a straightforward job. And actually getting to the point of installing new material requires many hours of work, especially if you’re doing it by yourself. After you have the existing insulation removed, the attic needs to be prepped. This prep work sometimes involves working with existing ventilation systems, as well as electrical wiring. If one doesn’t know exactly what they’re doing, this process could result in damage to the home or even personal injury. To avoid incurring more expenses (and to save on medical bills), consider employing an attic insulation contractor. Home attics can be dangerous places to work if a person isn’t familiar with the environment. Space is cramped and hazards are always nearby. For example, one wrong step could mean your leg (and maybe even the rest of you) falls down through the ceiling. And a hole in the ceiling is never something a do it yourself-er wants to explain to, well, anyone. And a hole in the ceiling is never something a do it yourself-er wants to explain to, well, anyone. An attic insulation contractor is accustomed to working in this hazardous environment and knows what steps to take (both literally and figuratively). The work will not only be performed safely, but it will be done in a timely fashion, as well. As you update your home, it’s important to leave the existing infrastructure intact. Home attics are typically musty rooms and improving the air quality in the attic can improve the air quality throughout the house. The importance of having good air circulation throughout a home is crucial to maintaining not only the value of the home but the health of its inhabitants as well. If attic insulation is installed improperly, it could potentially block or constrict existing ventilation systems. If this goes unnoticed, problems can quickly develop. As previously mentioned, attics are inherently musty, and subsequently dirty, areas of the home. This is primarily due to lack of air circulation and poor ventilation. If warm and humid air become trapped in the attic, it could lead to problems with air quality throughout the entire home. To avoid unforeseen problems developing in the future, hire an attic insulation contractor. As previously mentioned, different regions have different requirements for attic insulation. For example, less insulation material is required for areas located in warmer climate regions. If too much material is used, it could lead to home overheating. Overheating results from too much warm air getting trapped within the structure of the home. The heat could be a result of an improperly insulated water heater, or simply because it’s summer. However, home overheating creates higher energy costs, increases its carbon footprint, and can even damage your home. To avoid this, consult a professional contracting service to ensure the insulation is of the correct quantity and type. As we’ve already discussed, proper ventilation in a home attic is crucial to maintaining and improving the air quality within a home. But that’s not the only issue poor ventilation can create. If care isn’t taken when installing new insulation, ventilation can become blocked and dramatically reduce the amount of new air circulating into a home. Blocked ventilation has other consequences, though, such as trapped moisture. Attics are already inherently musty areas of the home. If insulation isn’t installed properly this moisture could become trapped. If this occurs, other problems can both develop quickly and over time. For example, too much moisture trapped inside an attic can create a mold problem. If the problem isn’t fixed, this moisture could even lead to wood rot. Anyone who has successfully completed a DIY project at home is well aware of how much research and planning is required. After all, you want to make sure the job is done right. But when it comes down to the details, such as what type of insulation is ideal and exactly how much to use, it’s best to leave it to the experts. A professional insulation contractor is well-informed of local building codes and industry best practices. Remember, it’s their job and they know how to do it well. Replacing the insulation in an attic is extensive and taxing work. Especially if you don’t know what you’re doing. Improper installation can lead to costly problems in the future, and embarrassing moments in the short term, such as falling through a ceiling. Although hiring an attic insulation contractor might seem expensive, doing so could actually save you money in the long term. To learn more about professional insulation services, contact us today!